A descriptive essay is usually written in a subjective, yet creative way. The purpose of this type of essay is to reveal the meaning behind a particular subject through the use of sensory observation. You need to make use of all your senses for the readers to feel the characters and everything that you are describing in particular. In other words, it requires a good sense of imagination to be able to write a good descriptive essay. But if you don’t possess that ability, you shouldn’t have to worry. Just follow the steps below on how to write a descriptive essay. Before starting to write, you have to point out what or who you want to describe and why. It can be a place you have visited, an object that has great meaning to you, or a significant person who is special to you. It shouldn’t have to be extraordinary. In other words, it can be something personal. And by knowing the reason, you will be able to work on the emotion of your readers. Brainstorm on the qualities of your subject. Think and jot down everything that comes to your mind based on your observation, and reflect on what you want to describe. Don’t only count on the physical characteristics but also the memories as well as your emotions that your subject evokes. Then make an outline out of your observation to have a logical sequence. When writing, follow the outline you have created but always keep in mind that you are supposed to make your readers feel the emotion of your subject. Be creative. As a rule of thumb – don’t just tell, show them instead. And you can only do that if you allow your senses to get involved. Write in such a way that your readers will feel the touch, taste the food, smell the fragrance, hear the music, and see the sun shines. Paint the image in the imagination of your readers. Start from the general up to the most specific details. Revise your work by reviewing, modifying, and reorganizing. When starting and concluding your essay, always keep your readers in mind. Then, proofread and edit your work by correcting the errors. Make it more clear and improve your style. Finally, share your descriptive essay with others. The goal of a descriptive essay is not just to describe a subject but to bring that particular subject into the imagination of the readers. 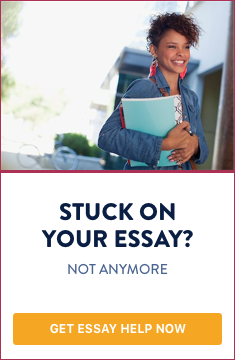 If your readers have felt an emotional connection with your subject, then it only means that your descriptive essay is good enough to affect your audience that way. If you have doubts about how to write a descriptive essay, just follow the steps outlined above.